Yakima's MultiMounts can hold paddles, oars, masts, pipe, and just about anything else up to 5" in diameter, or approximately 15" in circumference. 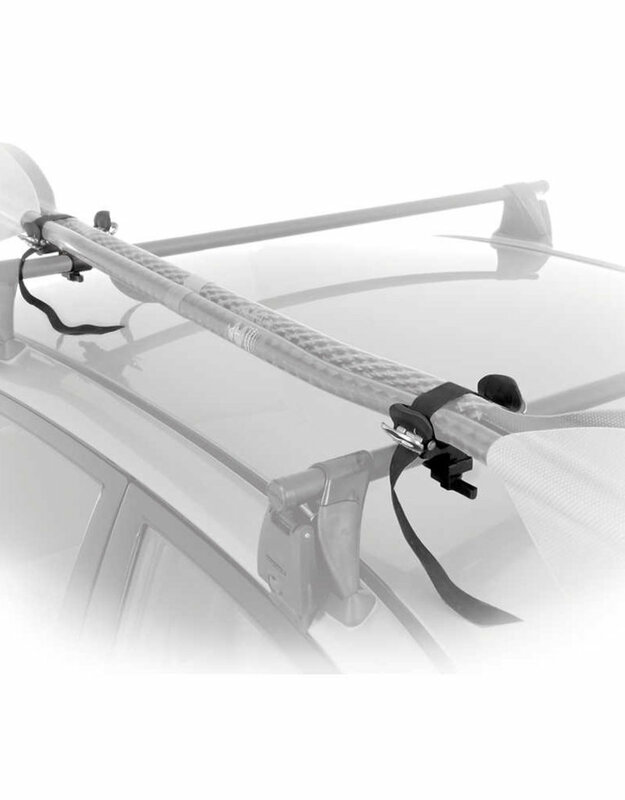 The mounts secure to both round and square crossbars, and keep their cargo firmly attached yet easily accessible. Slim design stays low to the crossbar, yet can handle up to three kayak paddles or two oars. Hypalon® straps keep your gear secure. Removable paddle pad won't scratch fiberglass, carbon or wood. Sold in pairs: one each for the front and back crossbars. Fit directly to round and square crossbars. 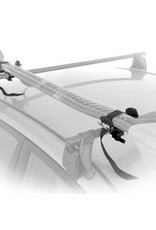 Use Yakima MightyMounts (sold separately) for factory crossbars.